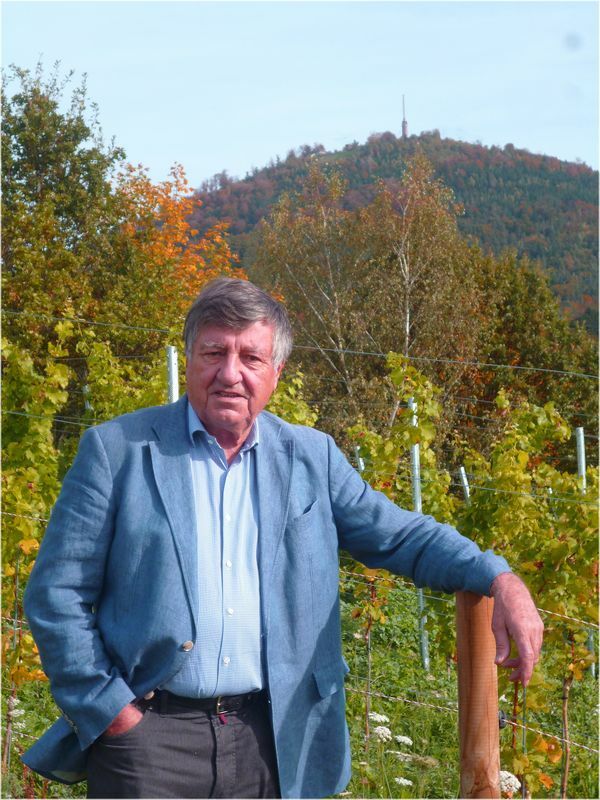 Welcome to the winery Knapp in Baden-Baden: Heinz J. Knapp, winemaker of the only winery within the historic city limits of the city of Baden-Baden, is expanding with great commitment and great passion a quality and honest wine for its customers. Before he started planting new vineyards around the Hubertus hunting lodge in 2005, he already had a 20-year track record at the family winery in Provence. The fascination of the creation of an honest and quality wine is so strongly internalized in Heinz J. Knapp that in 2005 he began to translate his experiences from the south into the vineyards of the city. The result is a wine that is unparalleled due to the well-rested mineral-rich vineyards. Initially, Weißburgunder vines were planted at the Jagdhaus, then supplemented by vineyards in the Neuweirer Mauerberg-Altenberg and finally completed in 2012 with the takeover and replanting of the urban vineyards at the Eckbergkapelle, the Silberbuckel and the Schafberg.